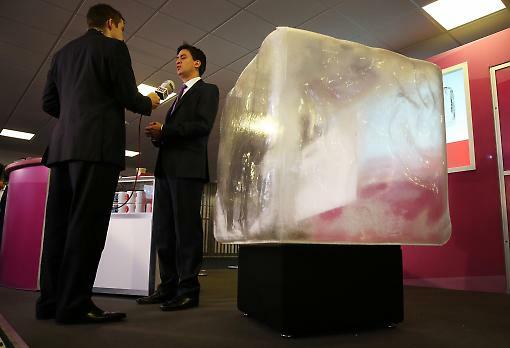 Ed Miliband’s energy price freeze met with a predictable, if not always credible, response from the energy industries. Led by Angela Knight, who was last heard from a few years ago asking us to stop being nasty to bankers, we were warned that this would halt investment and turn out the lights. The current energy market doesn’t work either for consumers or for all the non-energy businesses in Britain. Lack of competition and transparency has created an unfair market that consumers don’t trust. The only lights going out now belong to households that can’t afford the electricity. But what about investors? Will they really go on strike? Is it true that only ever larger profits must be made in order to to deliver investment , even if it is at the cost of consumers? Keep two key points in mind as you listen to this argument. First, when you drill down into company accounts you see that some of the companies with the highest profits are investing the least in new plants. Rather than plough returns into a broken energy market they have opted to pay out dividends. Centrica has made the highest profits but 74% of this has gone back to shareholders. Across the “Big Six”, an average of 56% of their profits are going into dividend payments. This is a perfectly legitimate business strategy if there is no urgent need for investment. But it certainly questions the link between higher profits and investment. If there are no value-creating projects to invest in, you cannot argue that the lights will go out if you don’t invest. Second, profits have grown over the last three years but investment has slumped. Large scale clean energy investment went from £7.2bn in 2009 to £3bn in 2012. And this takes us to the fundamental point. The market isn’t working any better for investors than for consumers. The reality is that what investors need is long-term certainty. And the complex and incoherent measures in the Energy Bill are simply adding to the uncertainty. And this is why it was so encouraging to hear what Labour had to say on reforming the market. Commitment to the 2030 power sector decarbonisation target will help convince investors that there will be long-term demand for clean energy. Combined with the proposals to revitalise the investment in energy efficiency, the contracts for difference for new generation and an Energy Security Board that will mean one body charged with doing everything necessary to meet the country’s energy needs, this will create a market that will offer investors much more stability than they have at present.